Two more local high school standouts have been tabbed to participate in Prep Baseball Review's Pennsylvania Preseason All-State Showcase next month in Manheim, Pa. 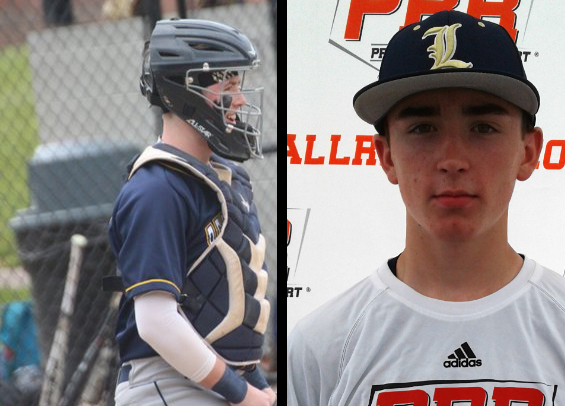 Junior backstop Gavin Zavorski of William Penn Charter and junior middle infielder Jack Gannon of La Salle both are expected to take part in the elite event. The 6-foot-1, 185-pound Zavorski spent this past summer with Zoom Academy and Miller Baseball, most recently playing in the WWBA National Championship this past in July in suburban Atlanta. He also plays football for the Quakers as a defensive end and a tight end. Gannon, a second baseman and shortstop, played this past summer with the Philadelphia Angels travel club. Both players are expected to make impacts this year at the varsity level.